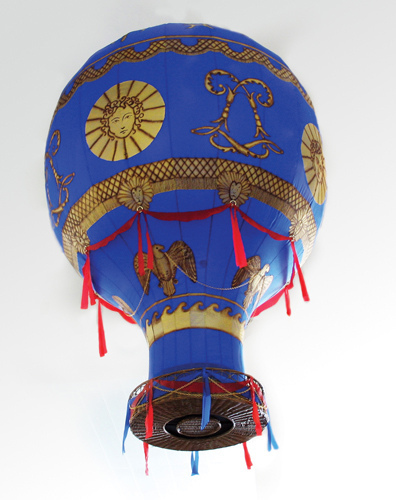 Who invented the First Hot Air Balloon ? 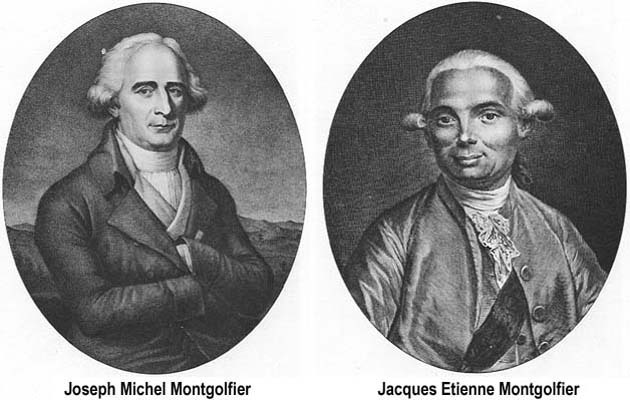 French brothers Joseph-Michel Montgolfier (1740 – 1810) and Jacques-Étienne Montgolfier (1745 – 1799) built the first hot air balloon out of cloth and paper. 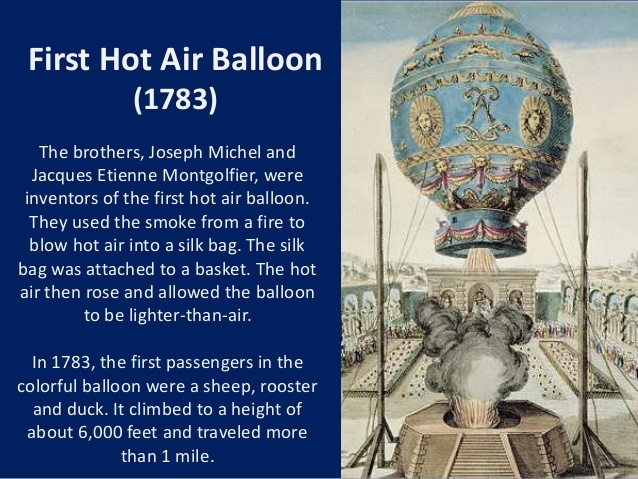 They discovered that a fabric bag filled with hot air would rise. 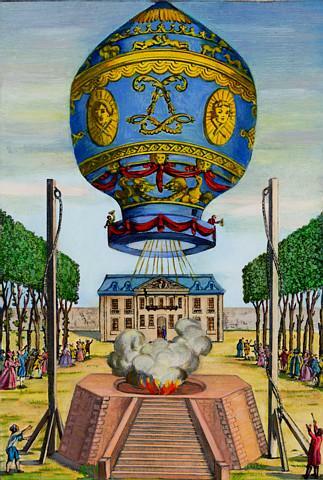 Modern hot air balloon lifted off in 1783 with a demonstration in front of King Louis XVI, Marie Antoinette, and a crowd of 130000 in Annonay, France. 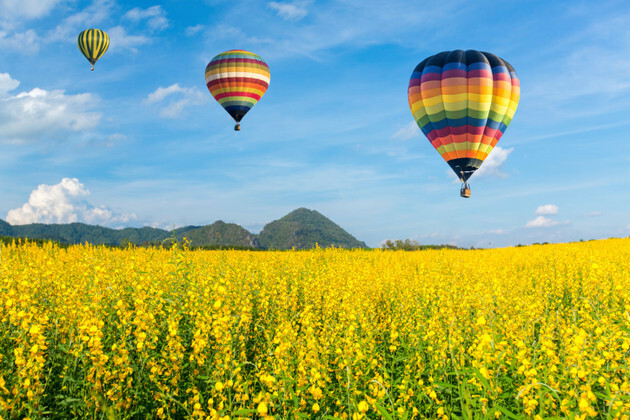 This entry was posted in Science and tagged Science on October 8, 2015 by smarttoughmom. 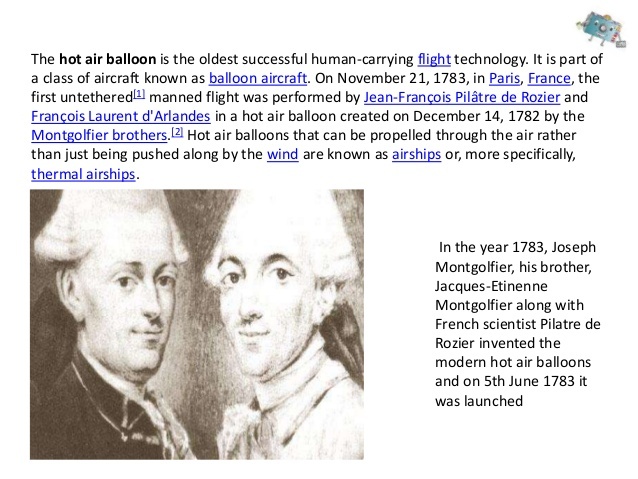 I remember reading about these guys when I was 11 or 12 years old and obsessed with flying!